Changing of air con filter should be an easy task for most cars. Not with a BMW 2 series though. The air con filter is located at the most obscure place ever and it's beyond my understanding on why would it be located at such hard to reach places. 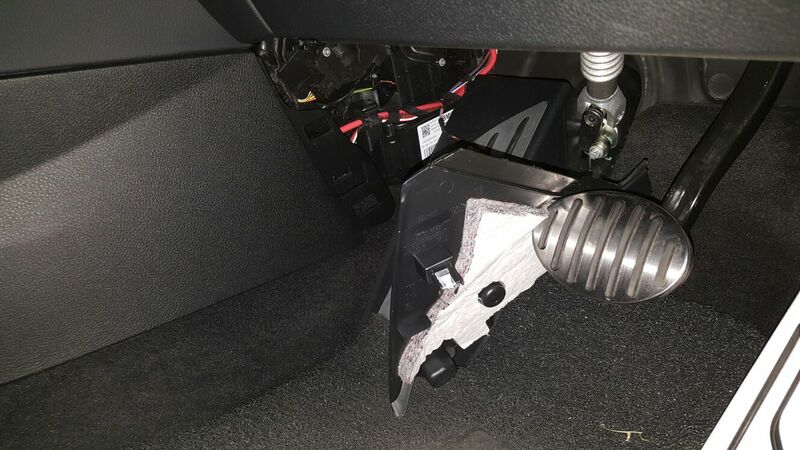 Once unscrew, you can take out the plastic cover which will reveal the air con filter holder. Open the air con filter holder flap by pressing the handle as shown in the highlighted arrow. Your finger should be able to open this flap without any tools but be extra careful to avoid getting cuts. 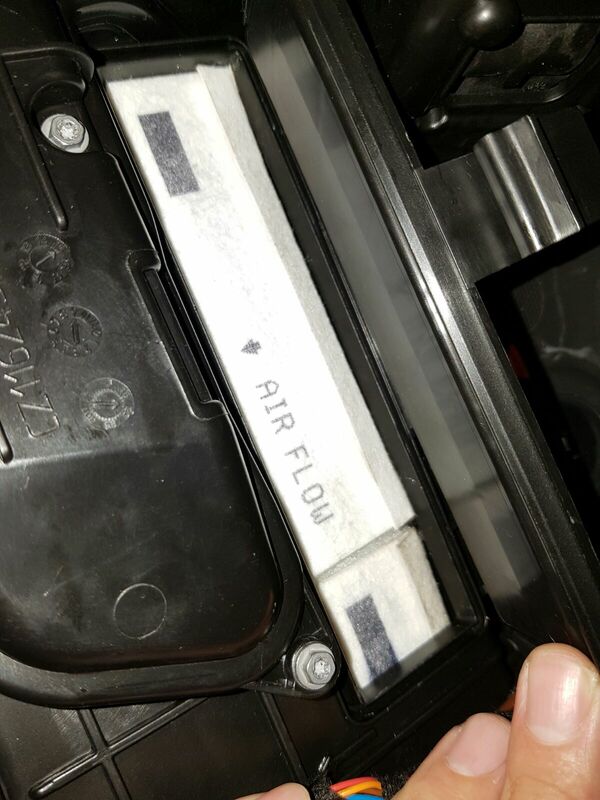 Once the air con filter holder flap is opened, you will be able to see the air con filter. Take it out for inspection and vacuum or change it if required. Use a pair of pliers if it is difficult for your fingers to pull it out. Note the air flow arrow direction and make sure to put it back the same way as indicated below. 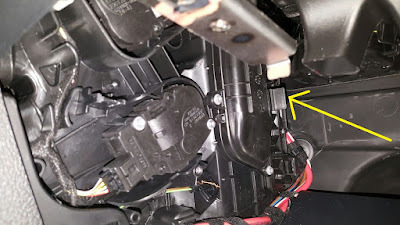 I have been searching to find out where the clean air filter is located on my F45 with no success. Thanks a lot for this. Thank you so much! 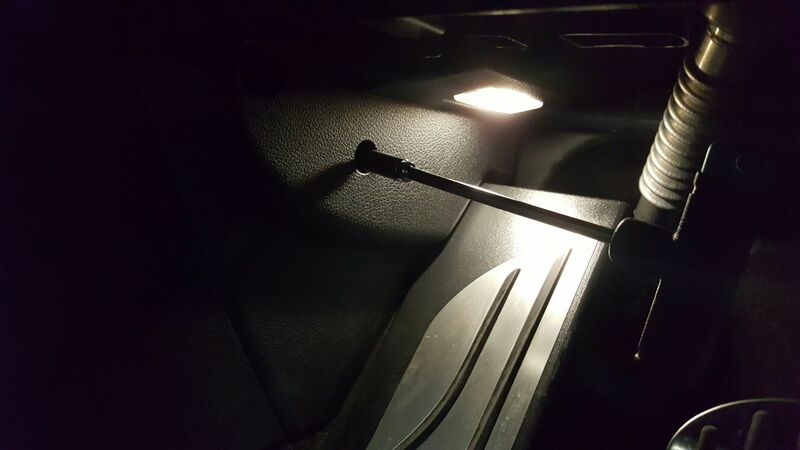 I don't understand what is the point for BMW to hiding this. Could i ask one thing? Your car is the right driver seat, isn't it? In my case, the lift side driver, so i will try to change it by co-driver side..is this correct? Worth mentioning that there are actually two filter elements, one on top of the other. Once you get the first one out (which is level with the cover), the second one has to be manoeuvred out from the lower level. Fiddly, but possible. Long-nosed pliers are very useful for this stage. Thx for this info ! Yes, Winter when temperature lowers terribly is a threat to your health.